dollar tree | Finding delight. Hold the phone. Pocket Letters? Say what?! 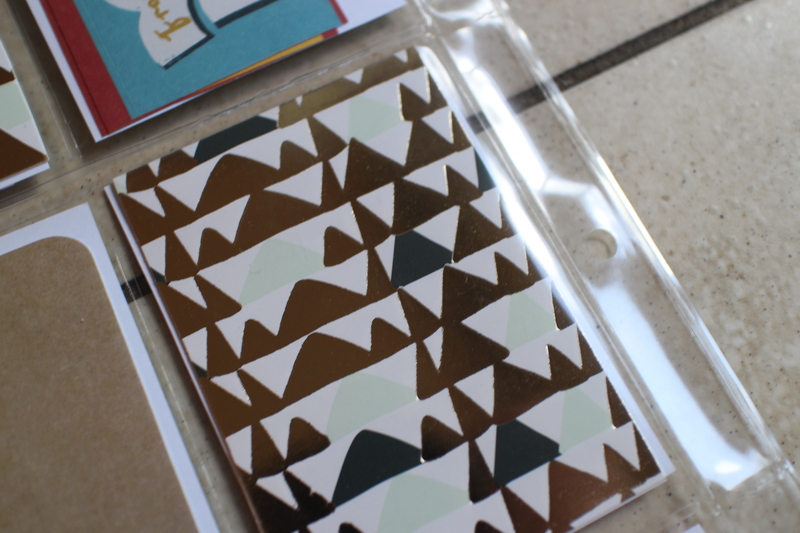 Fast forward about an hour (in which I clicked video after video about these little mail goodies) and I was obsessed. Essentially, Pocket Letters are an adorable platform to send mail to your “pals” by way of a 3 x 3 playing card page protector. 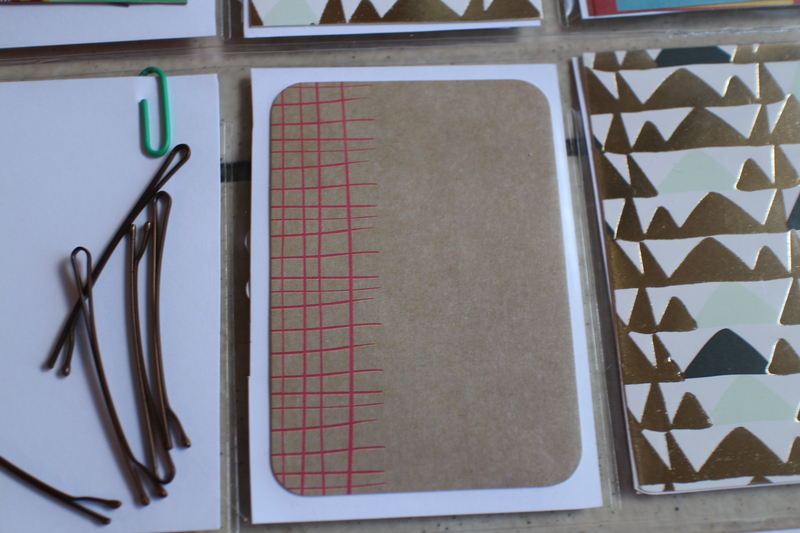 You decorate each pocket however you like and tuck little stationery goodies on the back. How. cute. is. that?! I purchased the page protectors on Amazon. 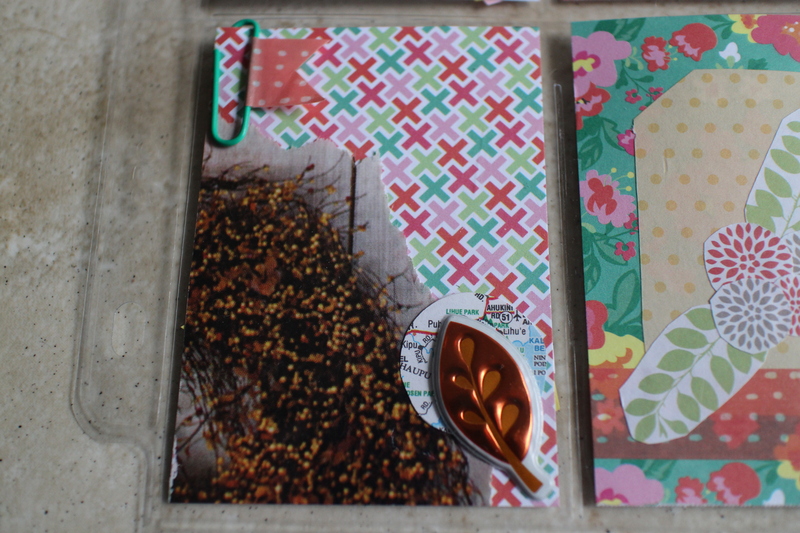 To act as the background for each pocket, I got patterned paper from Target. Most of the videos I watched about PL’s recommended getting paper in a 6″x 6″ size because the patterns are more to scale for the size of your pockets. So I went with that advice. You can also find this sort of paper at Wal-mart, Michaels, Hobby Lobby, etc. 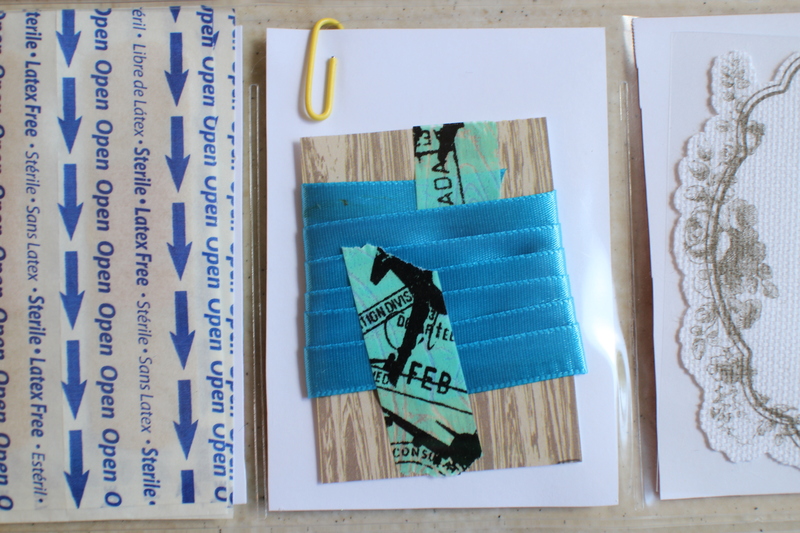 I picked out the patterns I wanted and cut them to size for the pockets, 2 1/2″x 3 1/2″. Next comes the fun part, decorating each pocket! I found the easiest (and quickest) way to affix all the decorative elements on to each page was to use an adhesive runner. Everything I used either came from Dollar Tree, the dollar section at Target or I already had it on hand. 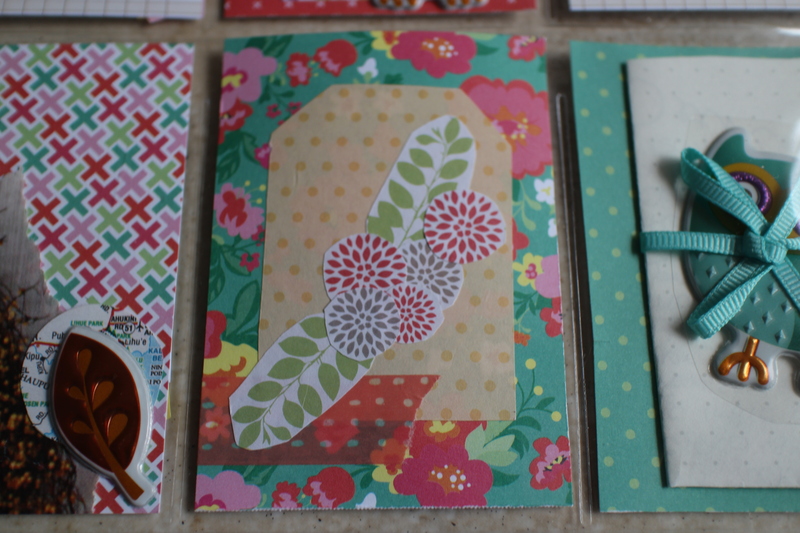 Finally, a big part of PL’s is including samples of your stationery stash for your pal to enjoy. 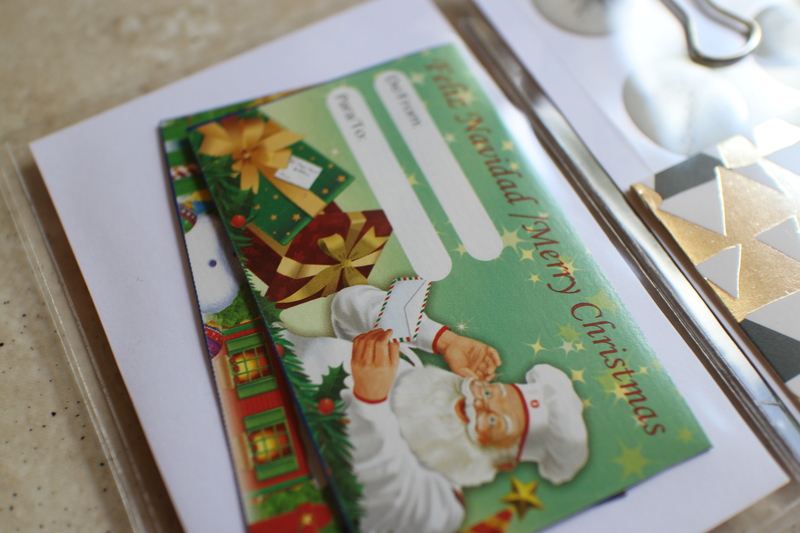 These little pieces get tucked in, along with the all-important letter, and then the Pocket Letter is ready to ship! Wanna see more? Keep scrollin’! Pocket #1. I used some plain paper with my patterned paper as an accent and included some fabric tape I had on hand and a puffy owl sticker from Dollar Tree. 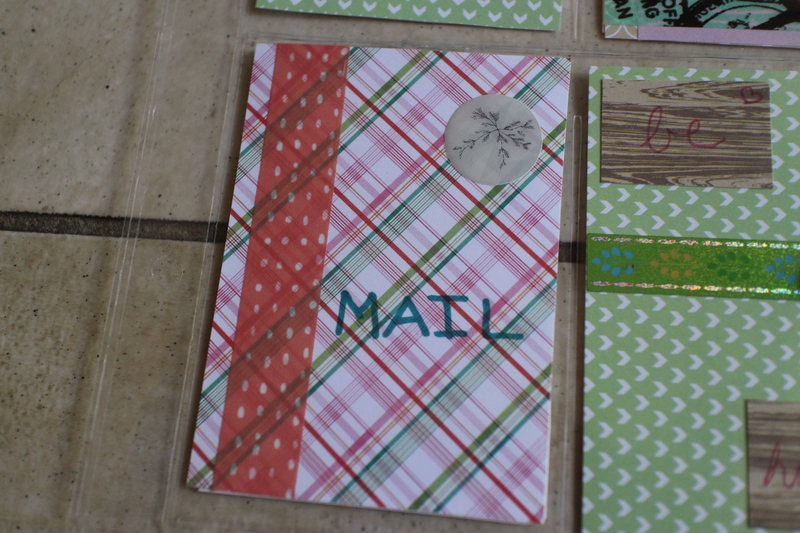 I also stamped the top with alphabet stamps from Target Dollar Spot. 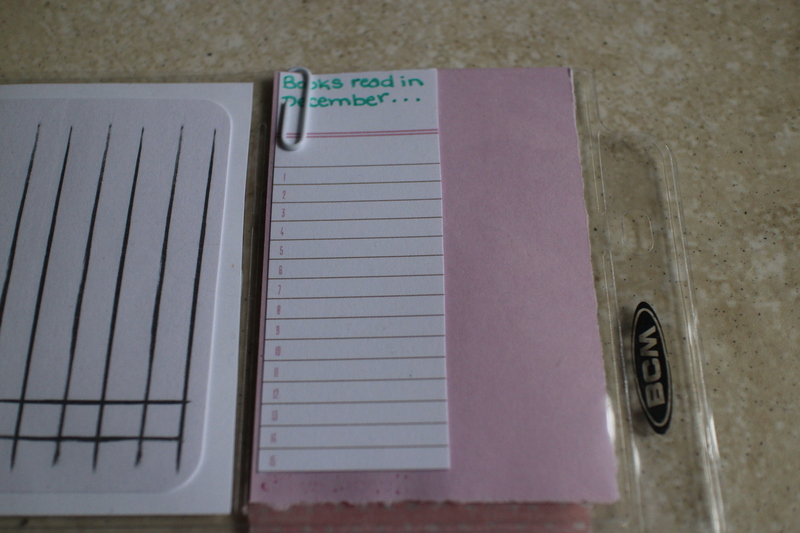 On the back is a little bookmark to write down books read in December. Pocket #2. 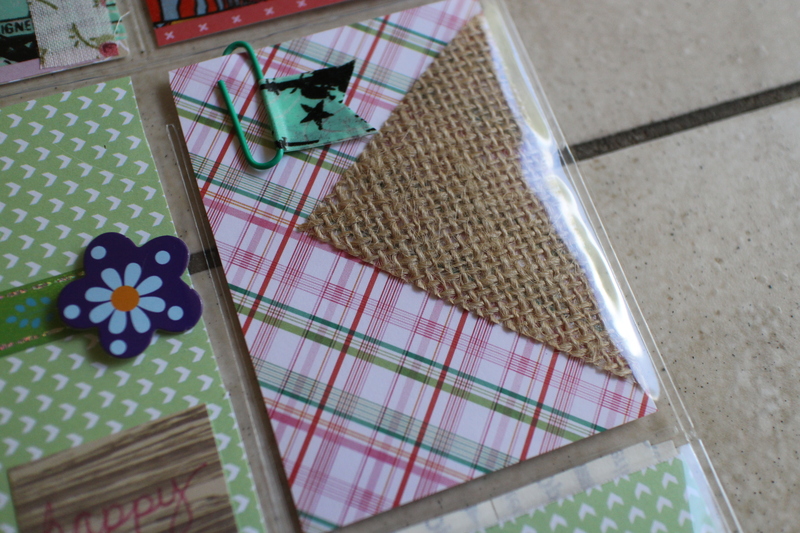 Samples of page flags act as the main decoration with a little bit of ribbon accent at the top. On the back is a sample of post-it notes. Pocket #3. 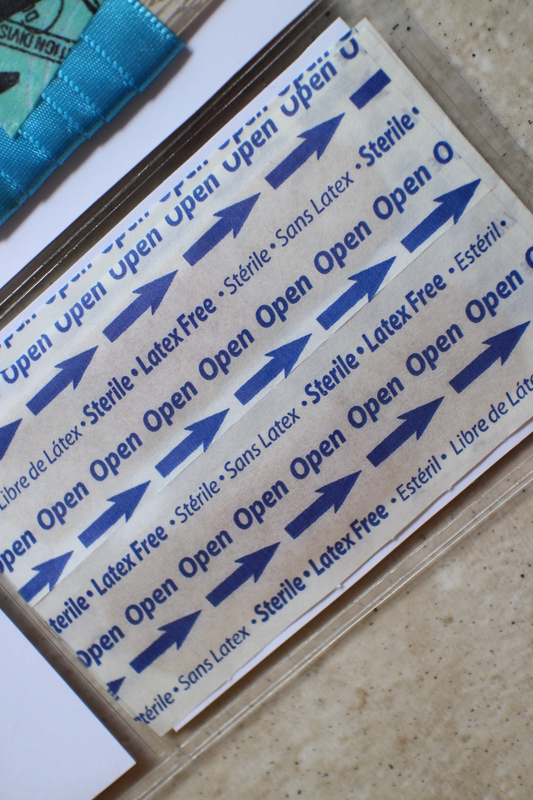 Adhesive label, pretty ribbon, puffy sticker from the same sheet as the owls. 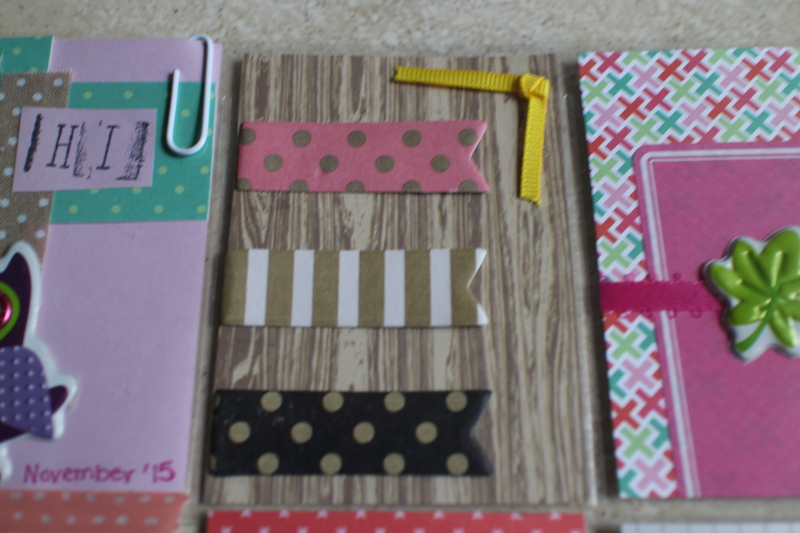 On the back is a sample of a couple of washi tapes. To make sure the recipient can use the washi, make sure to wrap it around something with a glossy finish or some plastic. Pocket #4. I have a huge atlas in my craft box that I bought for this project. 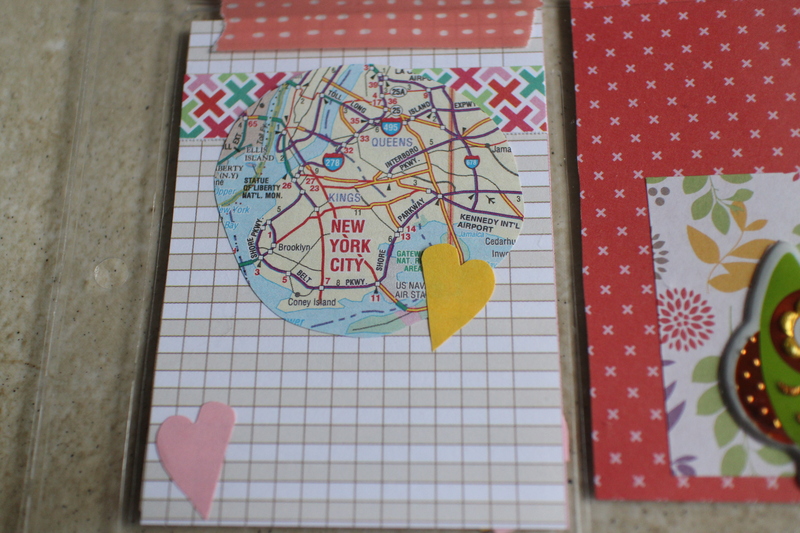 So I cut a little section out from that and added some paper hearts. 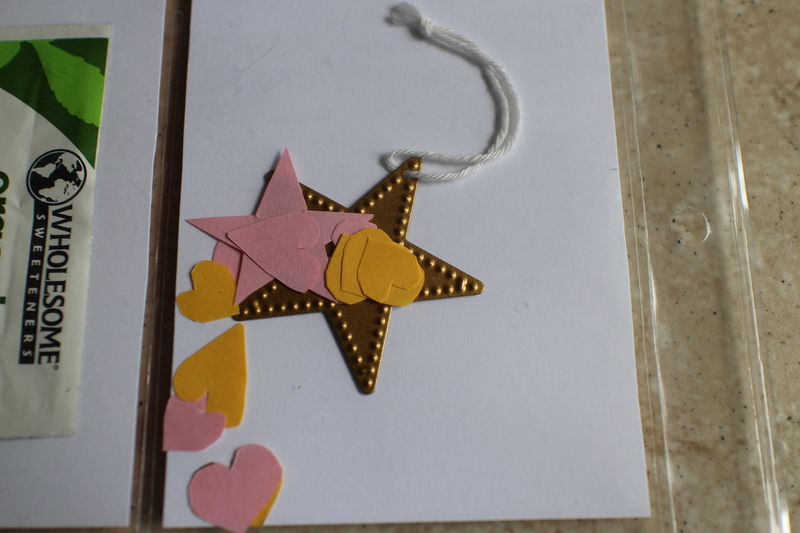 On the back are more paper hearts and stars plus a tiny tin star ornament. The top of this pocket is washi taped down so these little pieces won’t fall out. Pocket #6. 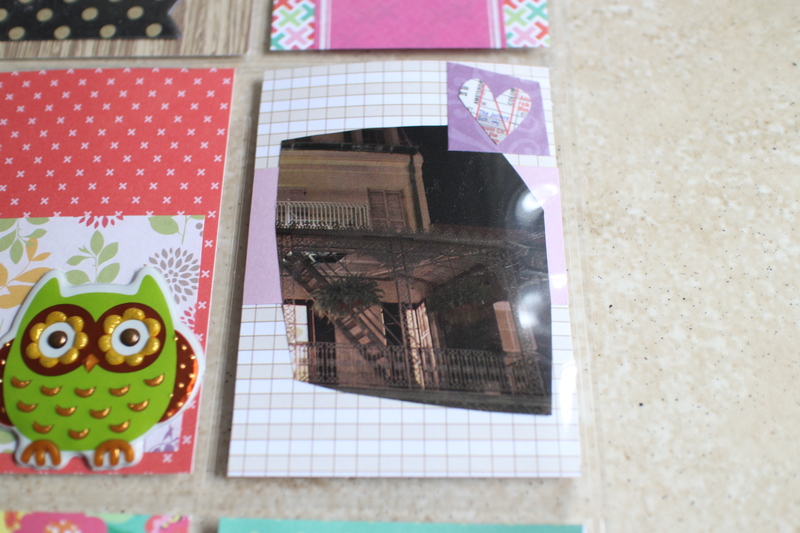 I used plain purple paper as an accent and slapped a little magazine cut out of a New Orleans style building on top. 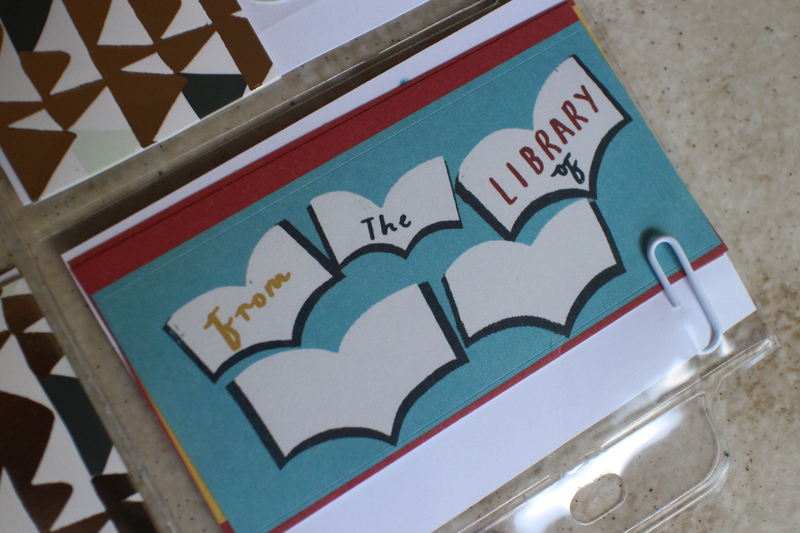 The top corner is another square of sticker sheet topped off with a heart cut from the atlas. On the back I wound some ribbon around patterned paper and washi taped it in place. I was unsure about including this sample but I ended up loving how it looks. Pocket #7. Another magazine cut out, a circle from the atlas, and an autumnal puffy sticker. At the top I folded washi tape through a paper clip and cut out a triangle. 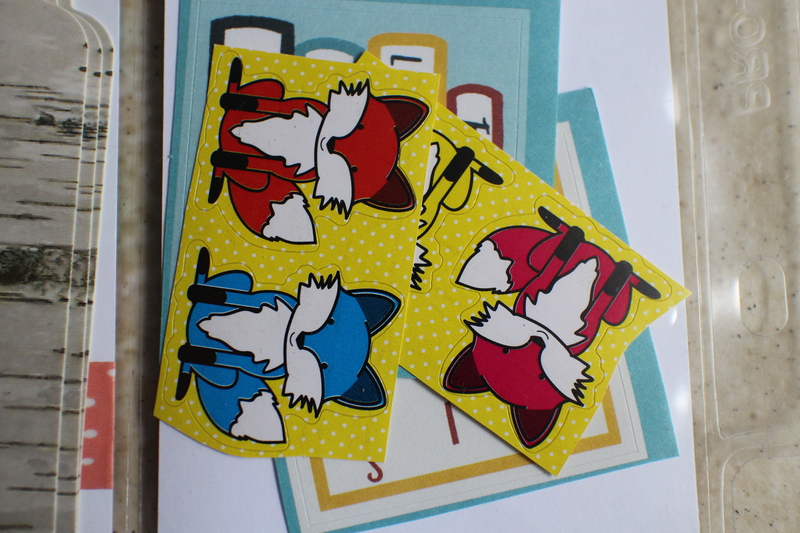 On the back are two bookplates (from my stash) and a few fox stickers (Dollar Tree). Pocket #8. 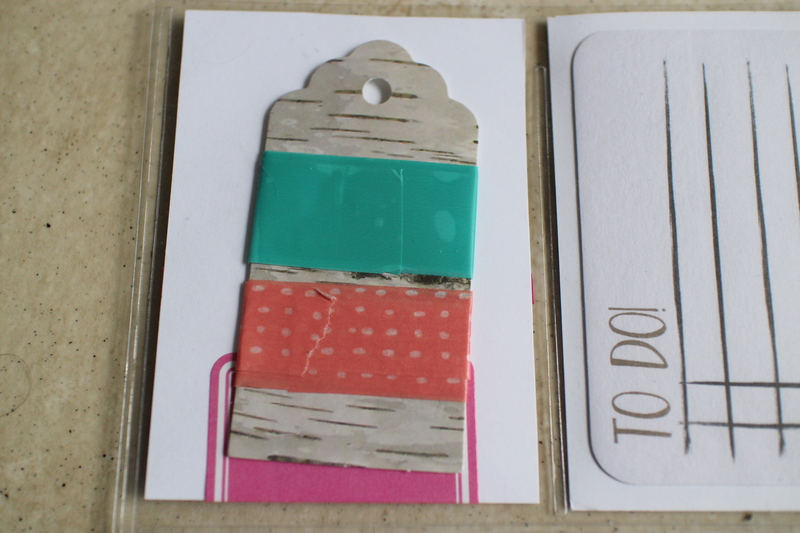 I cut some more sticker sheet into the shape of a gift tag to hint at what the goodie was for this one. 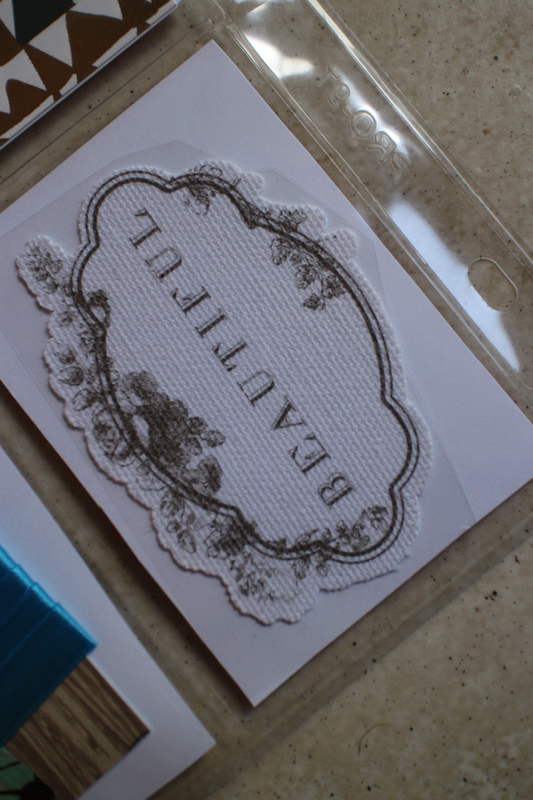 I also cut out some of the shapes from the floral sticker sheet and made a little cluster for the top of the tag. 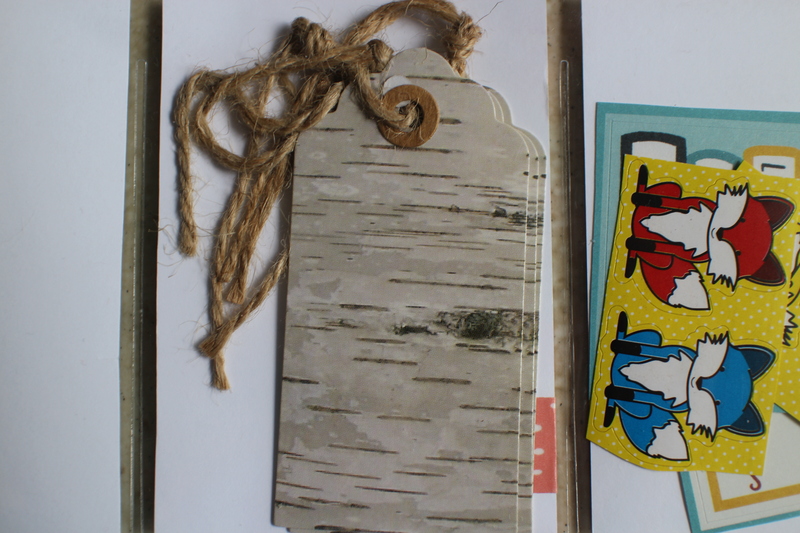 The birch bark looking tags on the back are from the Target Dollar Spot. Pocket #9. 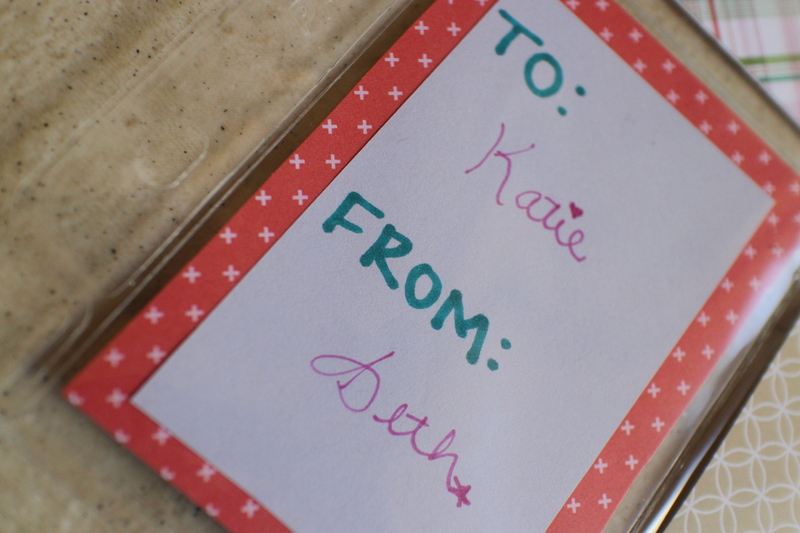 For my final pocket I included my letter which I folded up and tied with some ribbon. 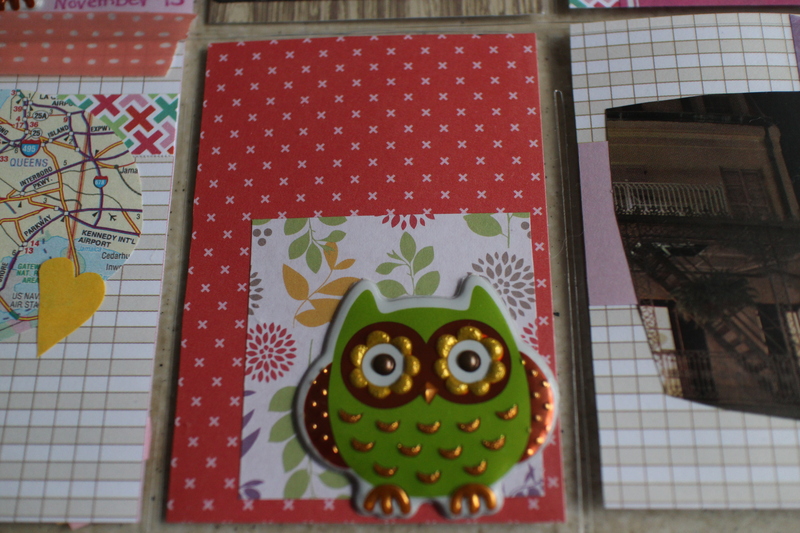 I also tucked in another owl sticker which I left on the backing so the recipient could use it. Pocket #1. A cut out from the purple sticker sheet topped off with a greeting. 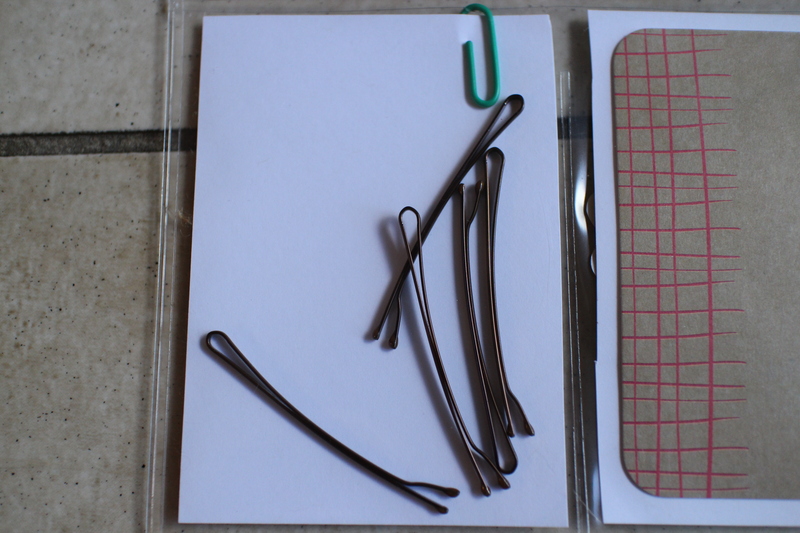 I included several paper clip flags on this PL because I think they’re adorable. On the back are a couple book plates. Pocket #2. 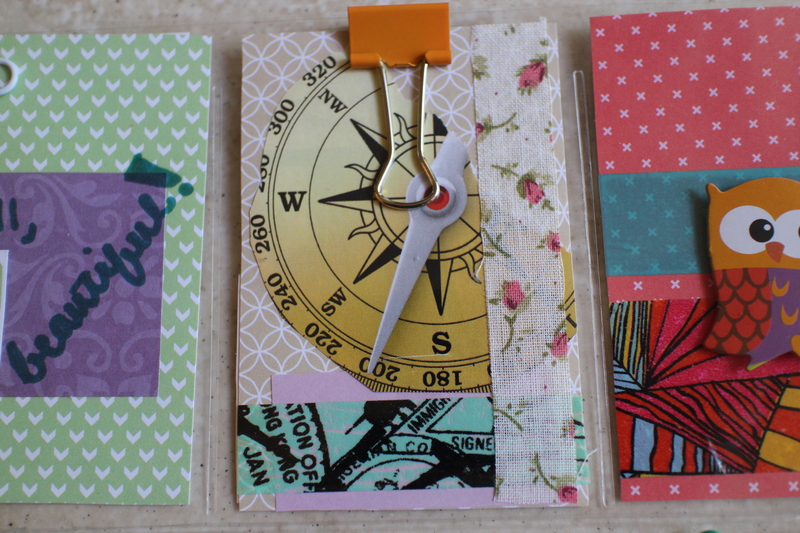 I chose a magazine cut out of a compass as the focal point and accented it with fabric tape and a new travel-themed washi I recently procured from Dollar Tree. 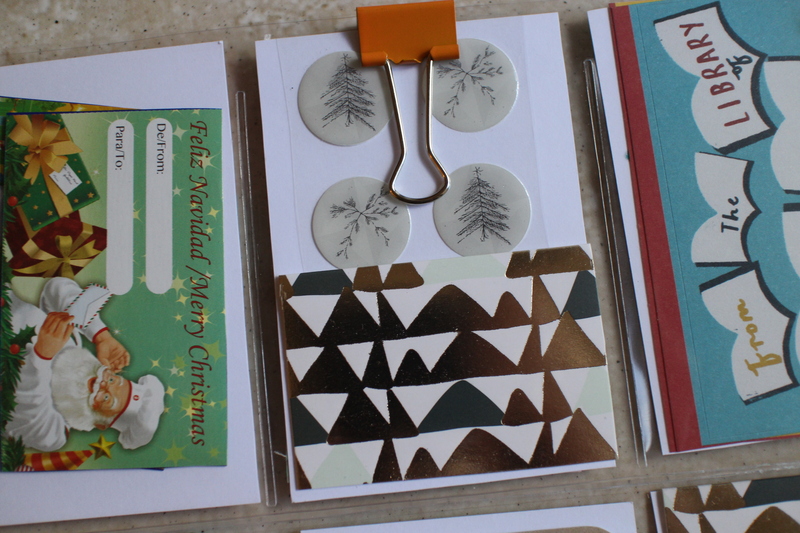 The orange binder clip holds a few stickers in place on the back and nestled at the bottom is a tiny card which I cut out from a larger card…more on that in a minute. Pocket #3. 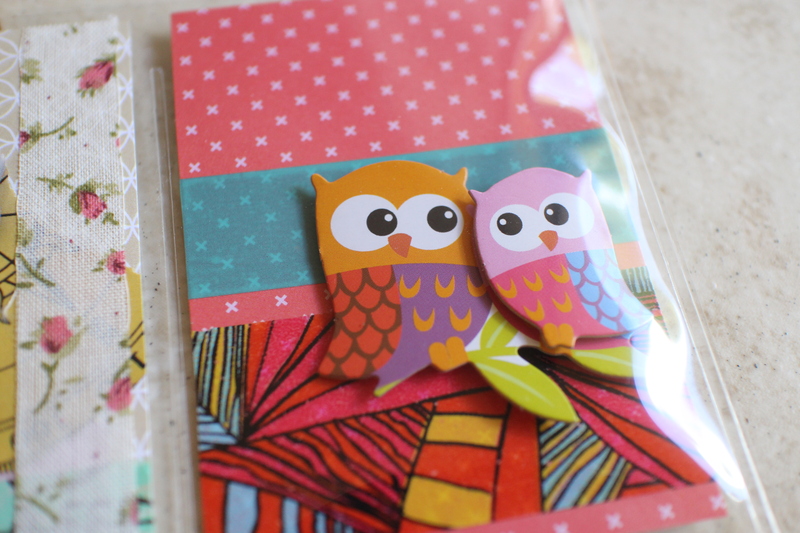 More washi and more OWLS! These chip board babies are also from Dollar Tree just like their puffy counterparts. 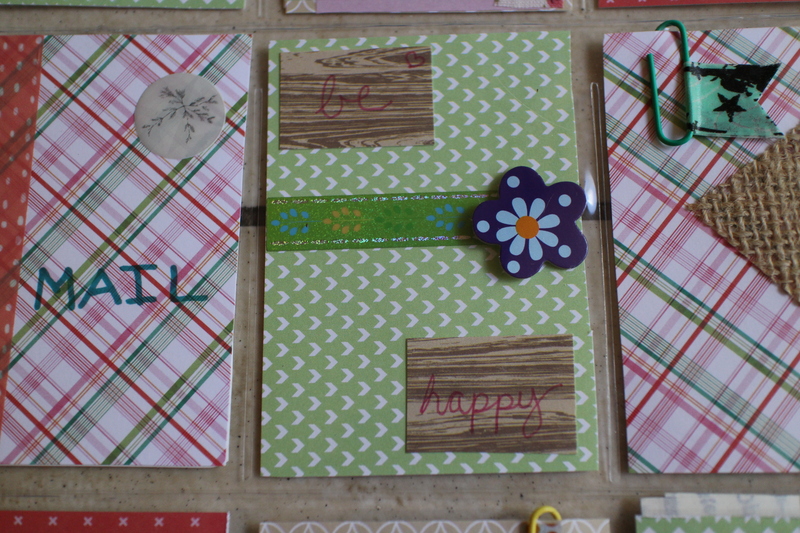 On the back are a few Christmas gift tags which I cut out from a box of cookies. I like that they’re bilingual. Pocket #4. This is the letter pocket! 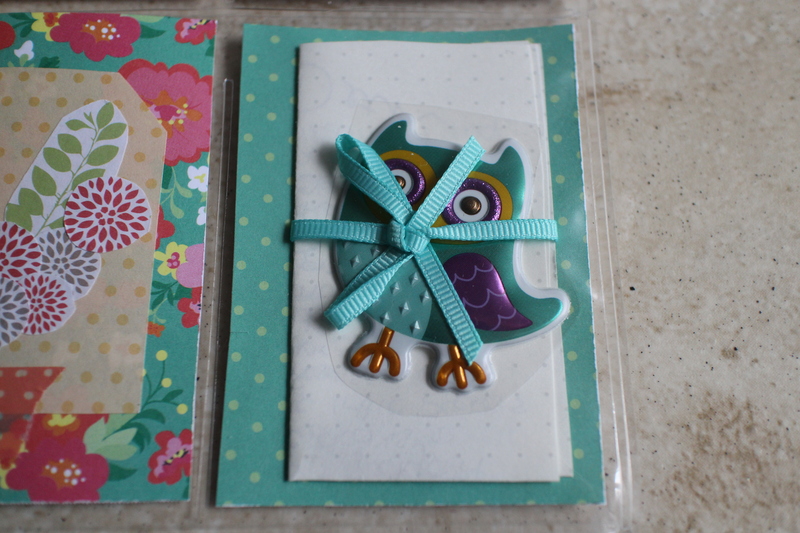 I cut a greeting card in half to create a pocket sized card to write my letter inside. 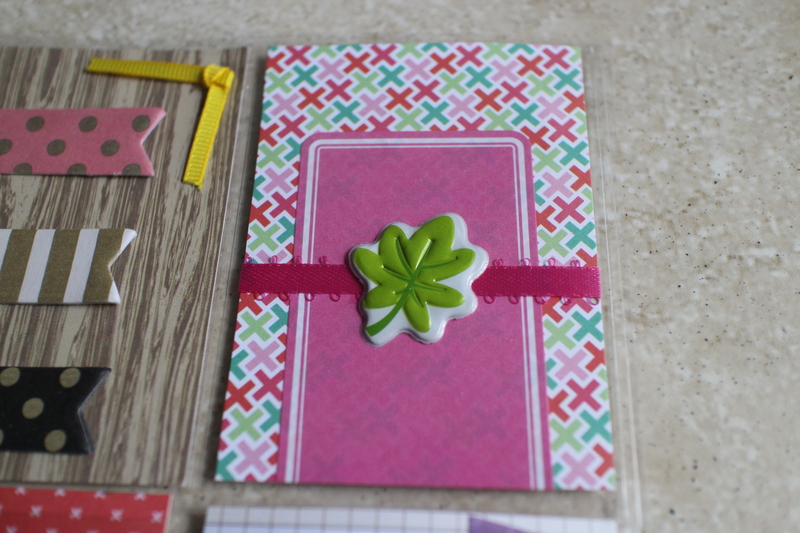 The other half of the card I cut down to make the tiny card in pocket 2. The card is from a set I got at Target Dollar Spot. Pocket #5. 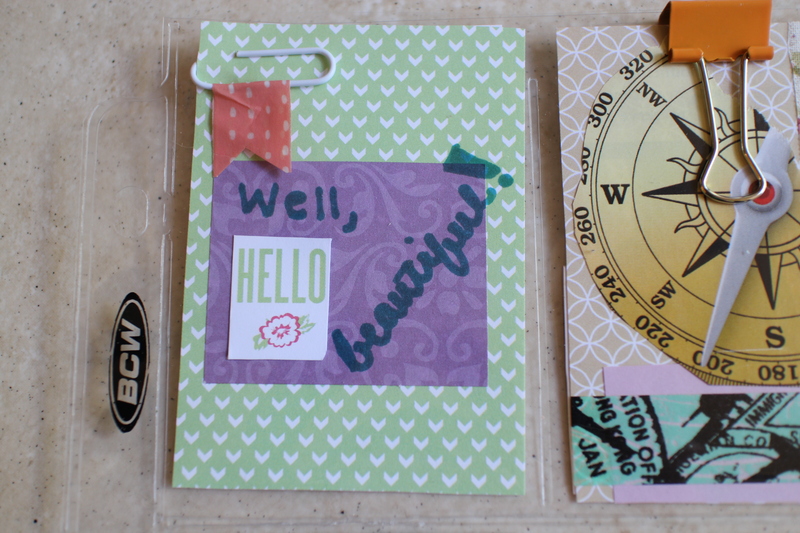 I cut out some of the wood patterned paper to write a little positive affirmation and included some sticker tape and a chip board flower. On the back is a post-it note sample. Pocket #6. This pocket is decorated with some burlap I had on hand and another paper clip flag. On the back are bobby pins because what gal couldn’t use more bobbies? Pocket #7. Just a simple “to” and “from” pocket with some plain purple paper and sharpies. On the back is a fabric sticker that I thought matched this PL quite nicely. Pocket #8. Look at those owls! 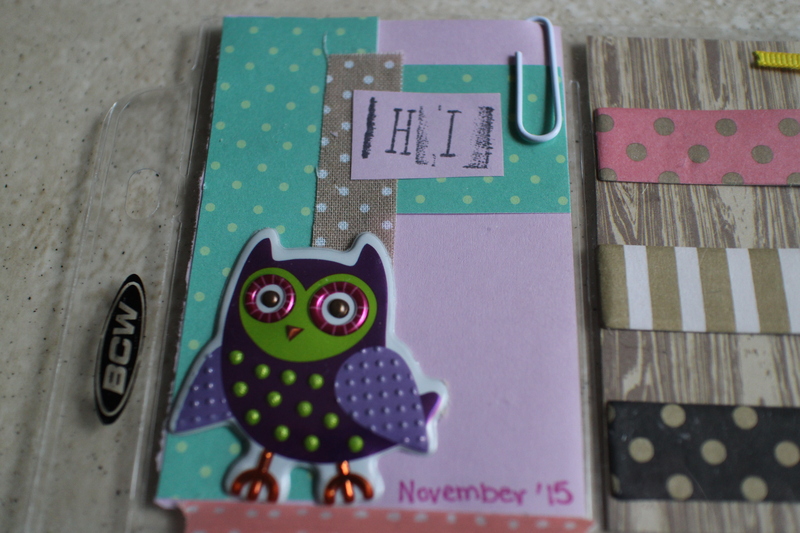 (Maybe my next PL will branch away from owls but they’re so darn cute!) I also used sticker tape on the side and attached another paper clip flag. 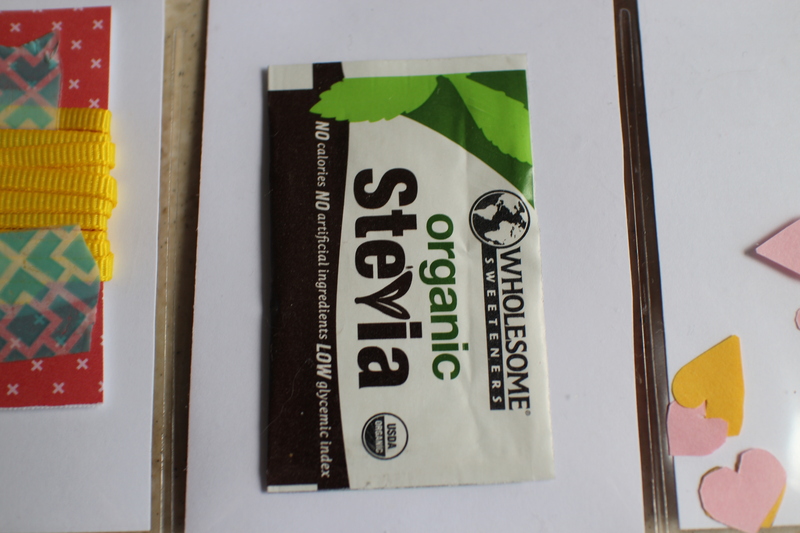 On the back I included a ribbon sample. Pocket #9. 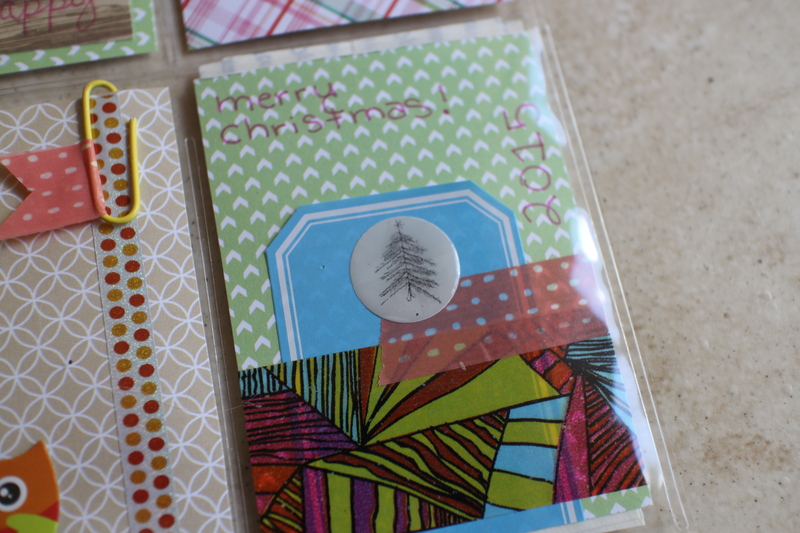 Last but not least, an adhesive tag decorated with washi tape and a Christmas tree sticker. Since I was gifting this PL in lieu of a Christmas card I wrote “merry christmas” and included the year. On the back I included some band-aids as the last time I saw the recipient she needed one and didn’t have any in her apartment, lol. Pocket Letters are super fun to make–calming handiwork that can be completed in one sitting–and they definitely brighten the receivers day! 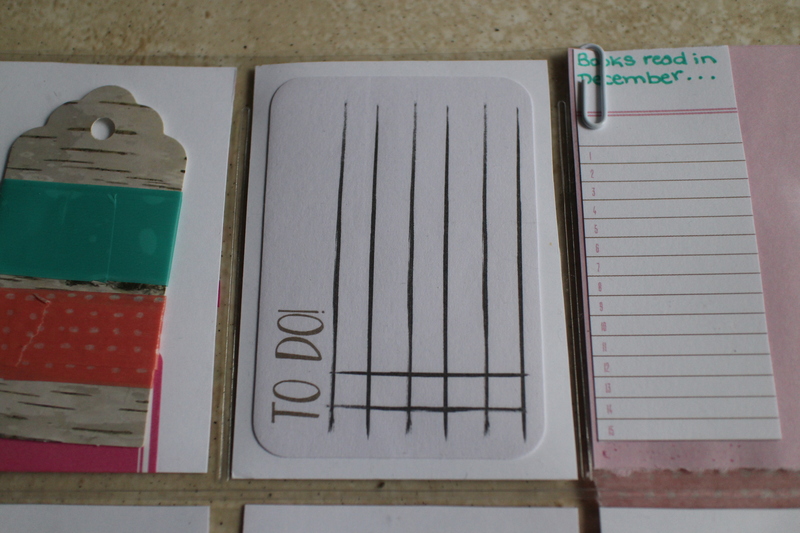 I’m so excited to continue making these in 2016! 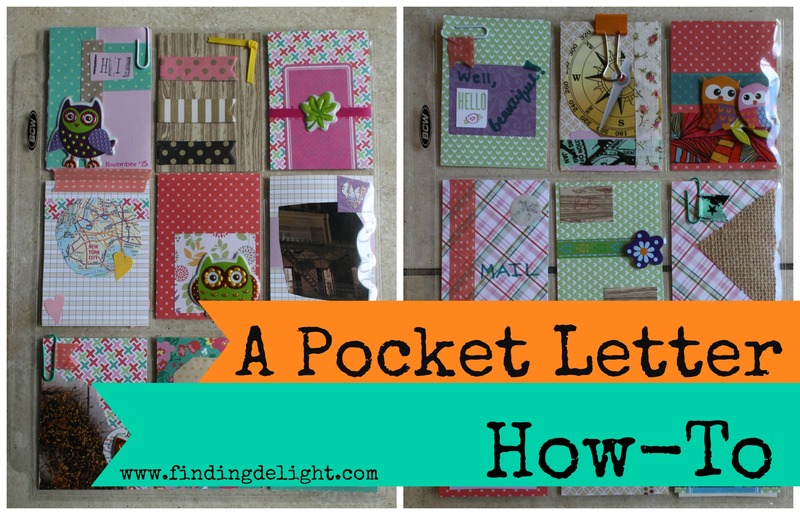 Have you made any Pocket Letters? 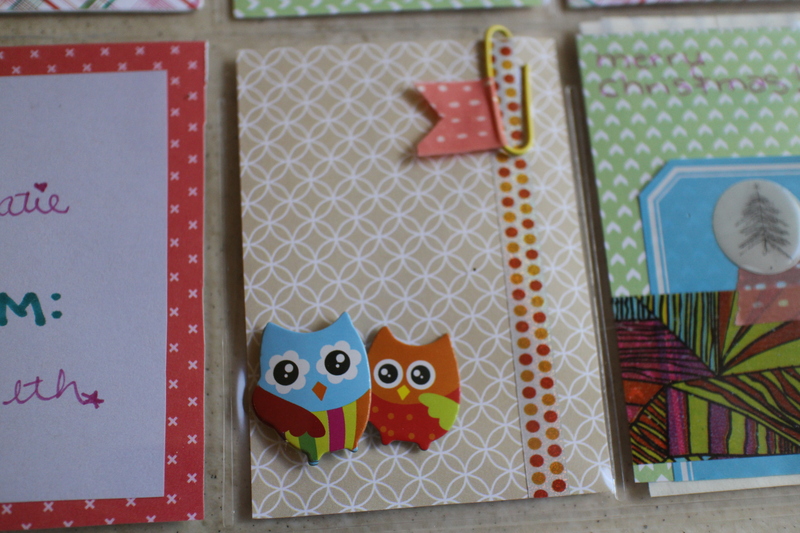 Or is this the first you’ve heard of the super cute mail goodies? Either way, if you’re interested in whipping one up and would like to swap with yours truly, do let me know in the comments below. 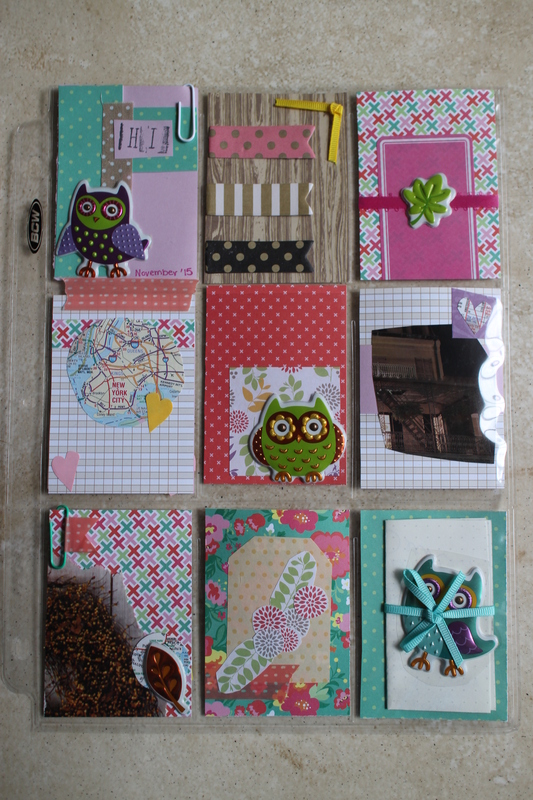 Or if you would like to swap a PL from me for some other mail goodie from you, I’m totally open to that too! Let’s spread some postal positivity!!! With Thanksgiving fast approaching, I thought I’d share a super simple way to make your table a little more special on the big day! 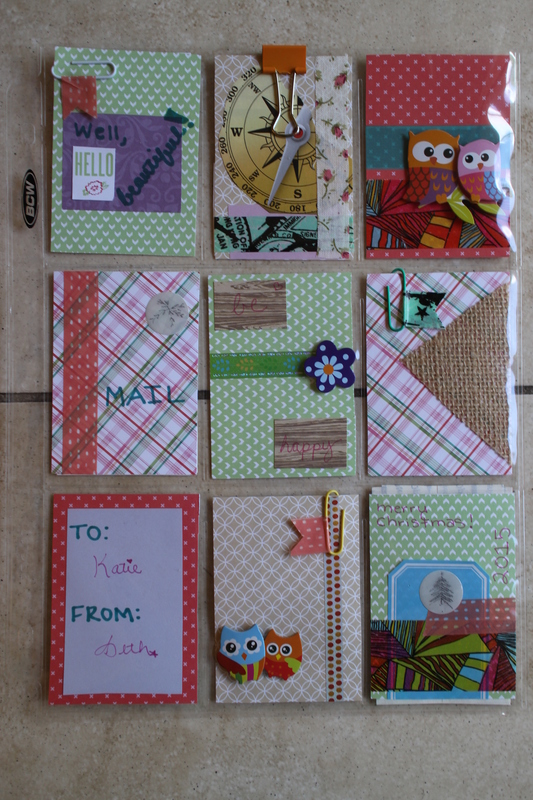 On Saturday I had a poke around our local Dollar Tree for craft supplies. (If you love crafting, scrapbooking, DIY home decor, etc my biggest money saving tip is to check out dollar stores BEFORE shelling out beau coups cash at places like Michael’s.) 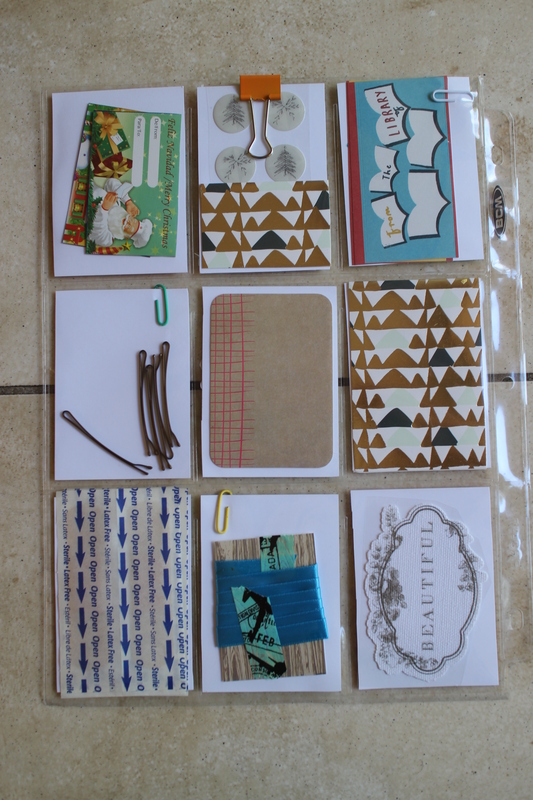 With my materials in hand I couldn’t wait to get home and start throwing them together! If you’d like to dress up your table for Thanksgiving, check out what you have on hand. You may be able to use this tutorial as a guide to put together something similar. Then, when Turkey Day rolls around you can lay out some place-mats and cloth napkins, put on some sweet sounding music, and start serving up your favorite dishes. The perfect, classy aesthetic for an intimate and simple Thanksgiving feast! Bonus: I fully plan on switching out the more autumnal looking flowers for Christmas-y ones (poinsettias maybe?) and rolling this little set-up straight through December! 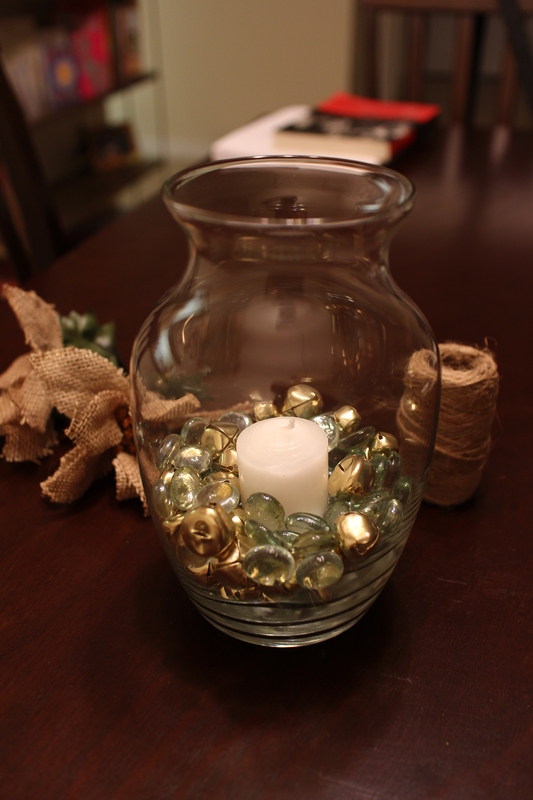 Pour the glass gems and jingle bells into the bottom of the large vase and make sure they’re all mixed up. 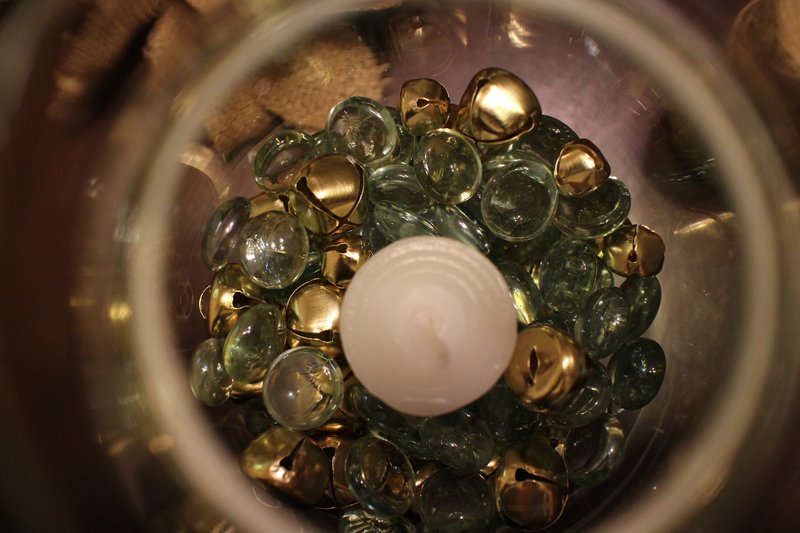 Create a little hole in the center and nestle the candle down in all those shiny baubles! Measure out some pretty ribbon and two lengths of postal twine, all the same length. 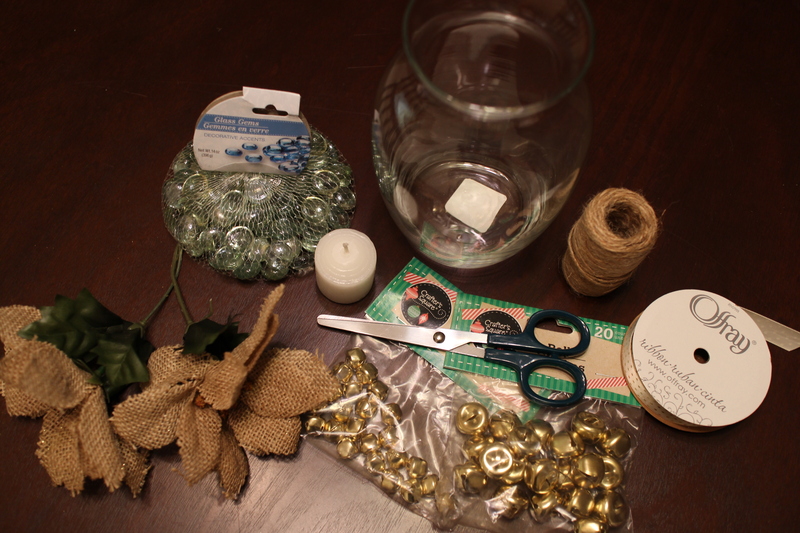 Lay these three pieces together and tie them all around the top of the vase in a bow. 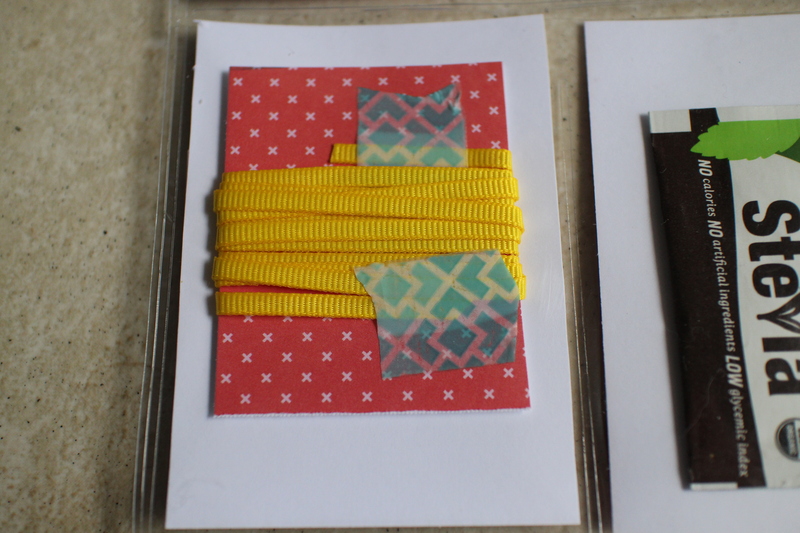 I liked the layering look of combining the ribbon and twine together but you could use one or the other. OR include more lengths of both to bulk it up a bit. Up to you! 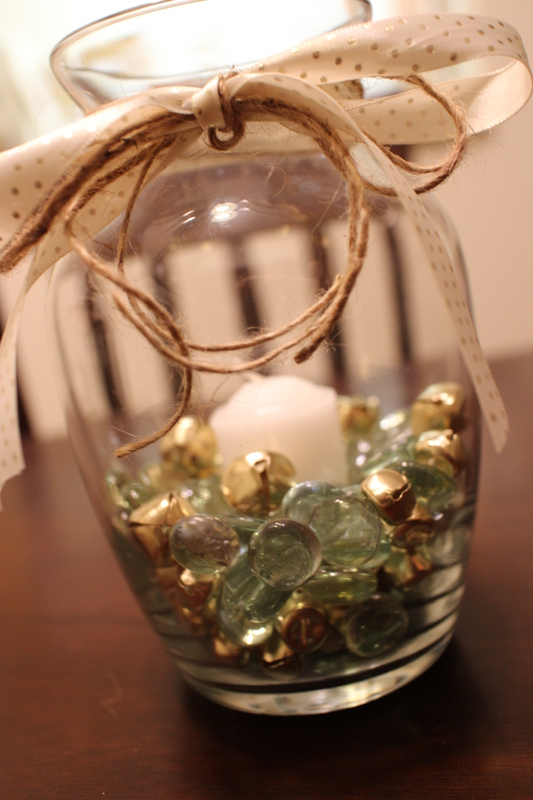 I love how the glass stones and gold bells reflect off each other…and the more rustic bow balances out all that bling. I can’t wait to see how it looks when the candle is lit! Because I ended up liking this vase as is (without including the flowers), I started grabbing elements from my kitchen to make a couple side jars. I glued the same ribbon around the middle of two pickle jars (They were well washed out. Don’t worry!) and poured some dried lentils inside to give the flowers something to stand up in. 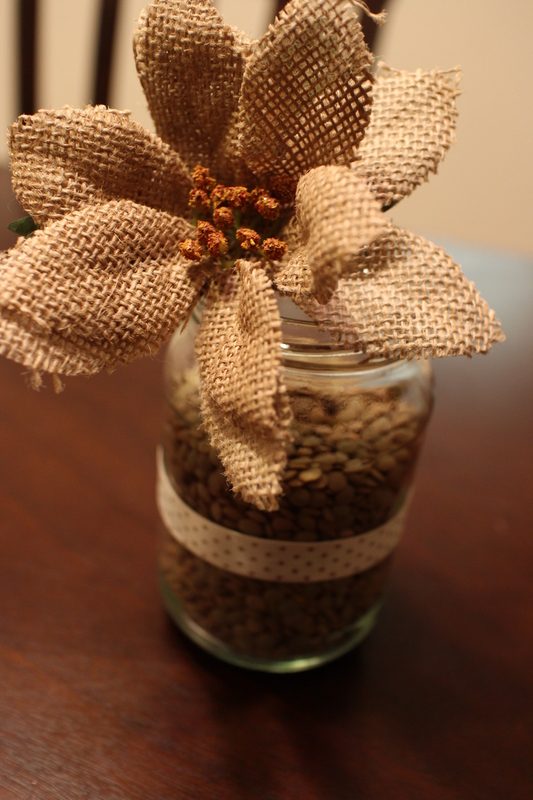 I thought the burlap flowers went nicely with the brown postal twine. There’s also a light dusting of gold glitter on these flowers that the camera didn’t quite pick up. So coordinated! 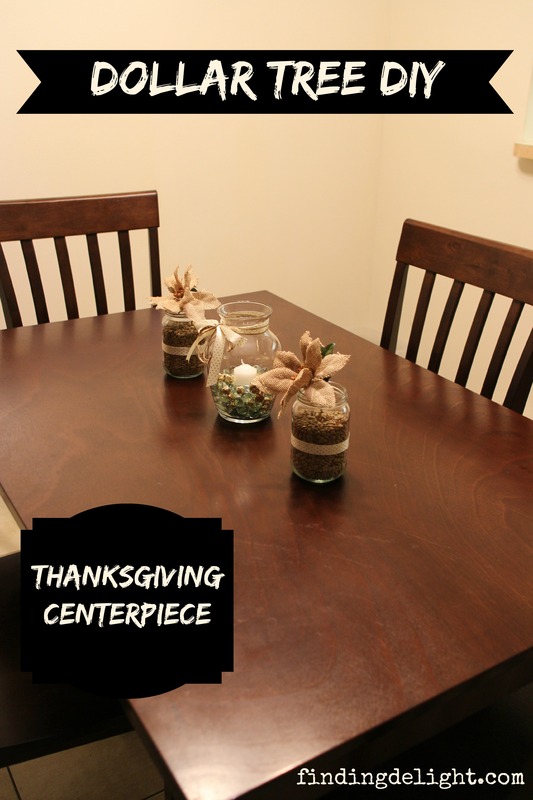 I placed the large vase in the center of my (smallllll) dining room table flanked by the two smaller jars. If I had a larger table, I would extend this tablescape out by picking up two of these glass taper candleholders from the Dollar Tree (which, side-note: LOTS of people were buying when I was at DT on Saturday. Thanksgiving preparedness, perhaps? Yes, I am a basket peeper. )and this 2-pack of white taper candles. 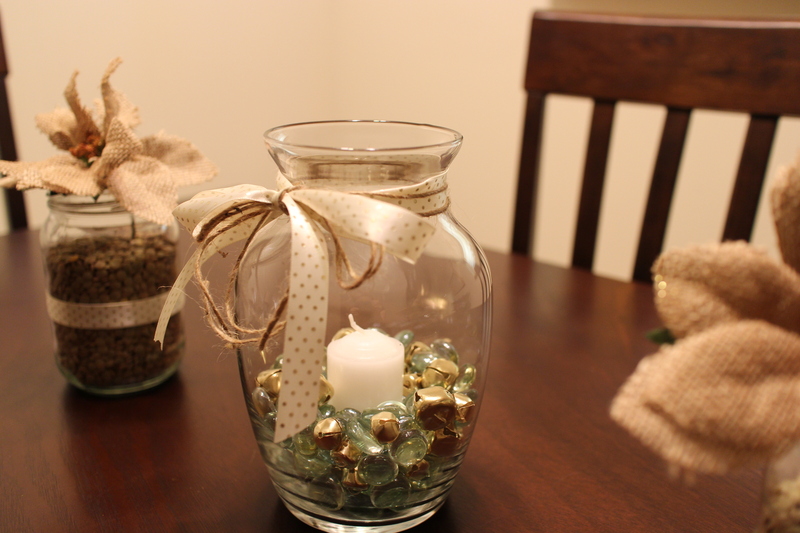 Then I would scootch the little jars down and stick the candles in between. Voila! You could also wrap some fake greenery amongst the five pieces or sprinkle fake leaves. For my tiny table, however, I’m loving this simple look. Do you plan on doing anything special for your Thanksgiving table? 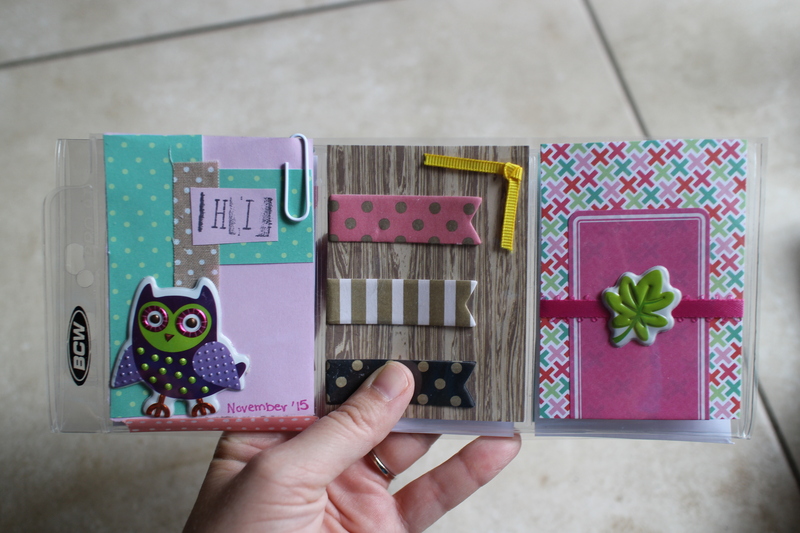 Have you ever found great craft supplies from an unlikely place? Would you consider creating a centerpiece like this one? Let me know in the comments below!